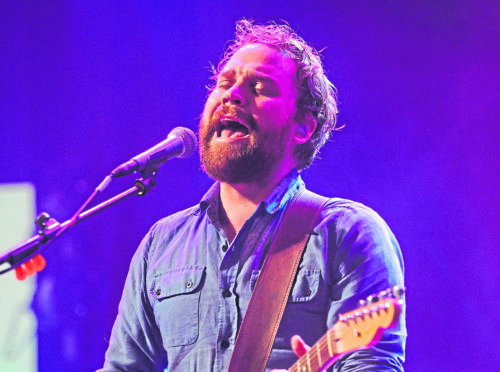 Frightened Rabbit singer Scott Hutchison took his own life earlier this year. The indie band will perform at Glasgow’s Kelvingrove Bandstand as part of a charity event to raise funds for social enterprise Social Bite. It will mark their first show since Mr Hutchison’s body was found on the banks of the Firth of Forth after taking his own life in May. His brother and band mate Grant said they agreed to perform at the charity sleepout to “make a positive thing out of something that personally was a very tragic event”. Speaking to the BBC Grant said: “It seemed like the right thing to do, and like a natural thing to do, to be able to help two charities and two causes, and also to play with people that are good friends. “It’s going to be highly emotional, but I think the setting for it, both physically and the fact that it’s a charity event for Social Bite, means it’s a positive way to do that for the first time. The group will be joined by a line-up of special guests including The Twilight Sad and Kathryn Joseph. Grant added they have “something planned for next year”, which is due to be announced at the start of 2019.